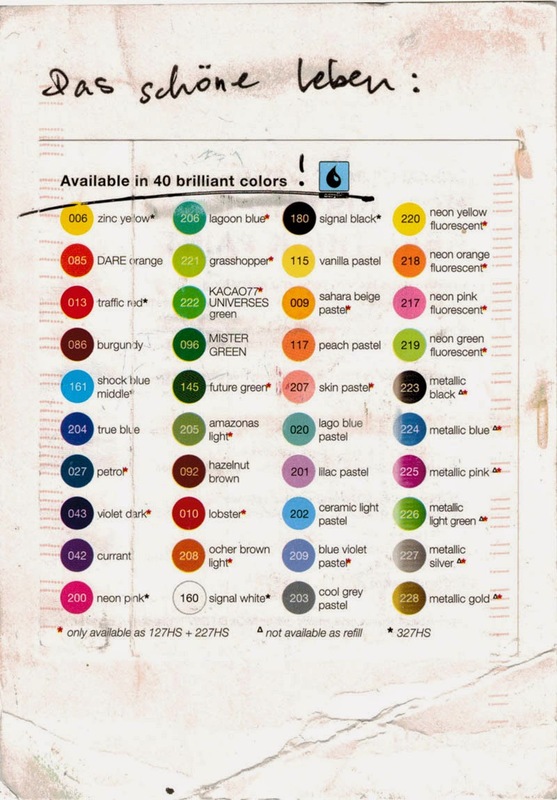 Das schöne Leben = the good life: Available in 40 brilliant colors! 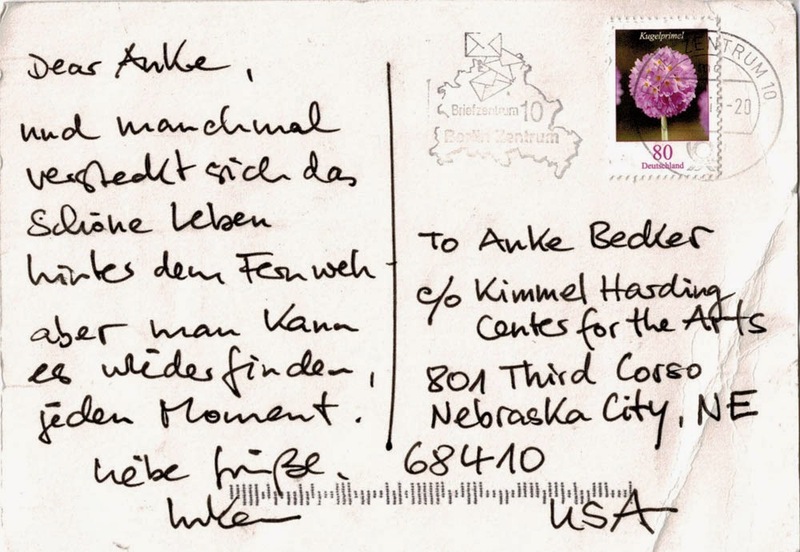 A postcard from INKEN REINERT, sent from Berlin Germany. 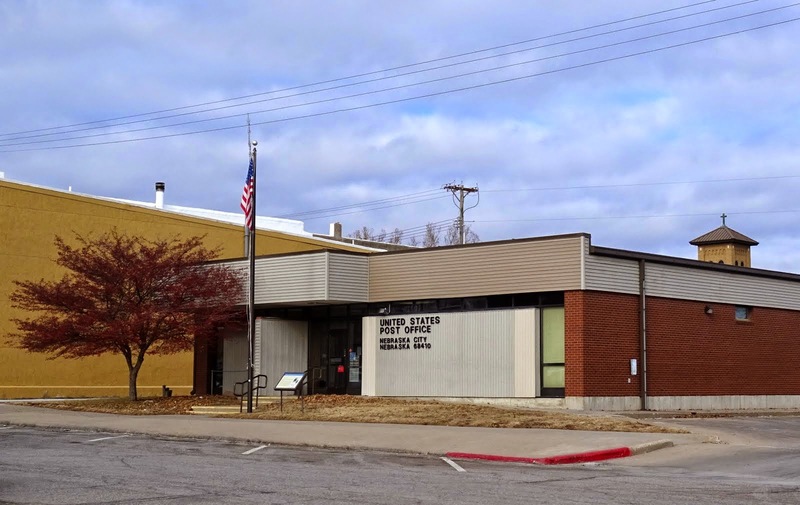 Inken alread sent another postcard a the beginning of my stay in Nebraska. More about her and her work, can bee seen here. Next Sunday, March 15, Inken and her art will be guest at Sonntag Berlin. Sonntag is a social sculpture that takes place the third Sunday afternoon of every month in Berlin, Germany. For each event an artist is invited to show his/her work in a private apartment. The artist's favorite cake is made by April Gertler and Adrian Schiesser and is served with coffee and tea. Inken's favorite cake is a Sachertorte (sacher cake). I loveSachertorte, too and I will definitely be there, next Sunday! ".. and sometimes the good life tucked around the back of Fernweh, but you always can retrieve it, every moment!"